Traveling is rewarding in many ways, but you never really know a country until you fully emerge into the culture of the country. Guanacaste is a unique region of Costa Rica and we hope you take some time to get to know the culture here which is a mix of indigenous peoples, colonial era structures, and ranching communities. We invite you take a break from the beach and get to know our Costa Rica culture by joining one of our Tamarindo Sightseeing tours. Aside from sightseeing in Guanacaste, our Tamarindo sightseeing tours can take you out to visit other regions of Costa Rica so you can compare the culture for yourself. Hot springs sound like heaven to you? 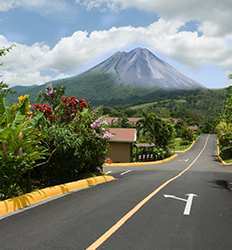 Take a one day excursion to Arenal Volcano and soak up the hot lava and hot springs. The mystical cloud forest sound intriguing? Venture out to the Monteverde cloud forest to take a peek inside the Quaker culture that founded this region? Or pack your passport and really take advantage of our sightseeing tours to Nicaragua where you can get a taste of the roots of Guanacaste before it became part of Costa Rica. All these destinations are just a hop, skip and jump away on one of our Tamarindo sightseeing tours! The Real Deal Tours only works with the best companies in Costa Rica so you can head out knowing you are going to get the best cultural experience in Costa Rica with one of our friendly bilingual guides. 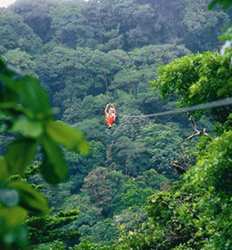 Are you ready discover Guanacaste in a different way? Check our list of Tamarindo sightseeing tours below and get ready to immerse yourself in Costa Rica's Guanacaste region. 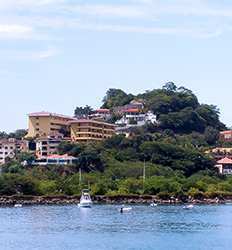 Colonial architecture of Liberia, indigenous Guaitil pottery and even a 1 day tour to Nicaragua; Tamarindo Sightseeing & Cultural tours can take you there! Shop ‘til you drop on this fun and fabulous tour of Liberia, Guanacaste's most historically rich colonial town known for its whitewashed beauty and local indigenous crafts. If you are looking for the special authentic souvenir and some amazing photos to share with friends back home, the Liberia Shopping Tour is perfect for you! 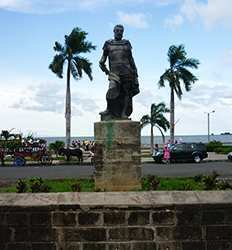 Liberia Shopping Tour deposit is $15.00 per Adult and $10.00 per Child. This tour departs at 1:00 PM. Take a break from Costa Rica´s natural history and broaden your knowledge of Central America´s colonial era history and vibrant culture by hopping across the border to Nicaragua on our incredible Nicaragua One Day Tour! We´ll get going early in the morning to avoid lines at the border. 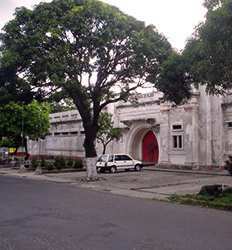 Nicaragua One Day Tour deposit is $35.00 per Adult and $30.00 per Child. This tour departs Friday and Sunday at 5:00 AM.